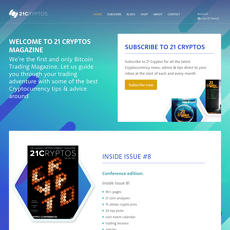 The Cryptocurrency Magazine is self-explanatory because it basically tells you it releases publications of various types of cryptocurrencies in the world today. Although, maybe not all cryptocurrencies but a majority of them that controls the economy of the world. It is often regarded as the magazine of the new economy. There are many things you could do on the site, one of them is learning how to trade. If you are new to the use of cryptocurrencies and would love to trade, there are online trading lessons that have been made available for you, some of them include; Free Webinars, Local Seminars., etc., and with just a click, you can open and get started on the page. The publications made on the site are almost everyday publications and have been grouped into categories as each day passes. Few of the categories for publications on the site include; Analysis, Insight, Blockchain, Technology etc. These publications are well-organized and their structure is topnotch. 1. 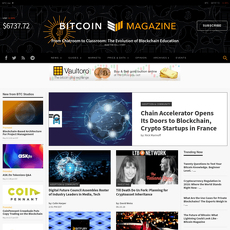 Article Pitching: The Cryptocurrency Magazine allows users to pitch their own articles to the platform and some information are required to ensure this is done successfully. There is even a reading time for it. 2. Social Platforms: The Cryptocurrency Magazine is also a social platform because it ensures its subscribers are carried along on all happenings that have happened in the crypto world. Makes use of social media platforms to gain access to the public. Offers trading lessons to beginners. Site should be more organized rather than spreading excess information all at once.